Daily Transcription provides a full range of legal transcription services including transcribing court proceedings, depositions, hearings, PACE interviews, wire taps, and legal translation. We have the capability to add time codes to your transcript, enabling you to easily reference statements for later review. Our team has the industry knowledge and experience to create quality transcripts for you. 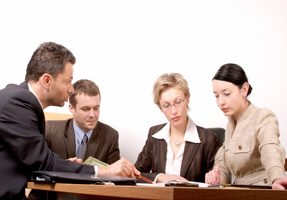 Transcription plays a large role in the legal world. The advancements in technology have now made it possible to securely send your information out of house for legal transcription. This not only saves you time but money as well. Transcribe only what you need, when you need it. You no longer have to pay to employ someone in house. We understand that you have legal work to do, so let us take care of your legal transcription needs. While transcripts of arbitration proceedings may not always be necessary for judicial review, the failure to produce a legal transcript could be fatal to winning an arbitration award challenge. Since the cost of producing a transcript is relatively low, transcripts are valuable not only to a party challenging an arbitration award, but also in helping to ensure the integrity of the arbitration process. Have questions about the cost of working with us? Consult our frequently asked questions page for the answers most often sought by our clients. A transcript is the written version of what transpired at a trial or hearing. It is a document that states word for word what the parties, the judge, and any witnesses said at a trial or hearing. The court recorded proceeding is created from a recording of the proceeding. Daily Transcription understands the value having an accurate transcript of a hearing. As with arbitrations, transcripts can become valuable tools when filing or fighting an appeal. A deposition is an evidence given under oath in a court of law, and then later recorded for court proceedings. We provide deposition transcription services as a part of our legal transcription services. A missed word or misinterpreted sentence can be the difference in winning or losing a case. Daily Transcription takes pride in knowing that we transcribe all depositions accurately with a thorough understanding of court terminology, legalese, and jargon. Our transcriptionists are comprehensively trained in such terminology and have the expertise to carry out verbatim transcriptions of all court depositions, interrogations, hearings, meetings, briefs, and legal examinations. It’s often helpful to record your thoughts while you’re having them and technology enables you to do so in many ways. You can send us recordings from a digital recorder or even your smartphone. Whether it’s general or legal dictation, we understand the importance of delivering accurate legal transcriptions. Since we deal with highly sensitive and confidential documents, we require non-disclosure agreements from every transcriptionist we work with. We know that quality, speed, and accuracy are important to you; as a result, every document we deliver is treated with the utmost care and attention to detail. Since forensic evidence is used in the investigation and establishment of facts or evidence in a court, it could be key to winning a case. 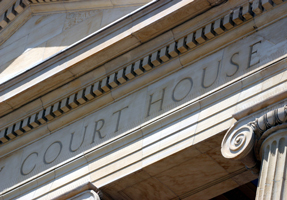 While often shorter and less formal than a trial, a hearing is still an important part of the legal process. After a preliminary hearing, prosecutors and defense attorneys sometimes agree to submit the case on the record. 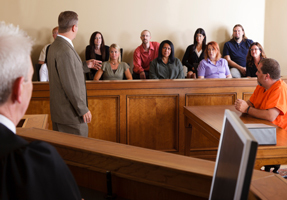 A judge then determines the defendant’s guilt or innocence based on their review of the preliminary hearing transcript. The legal transcripts that we provide are always accurate and have been reviewed twice. 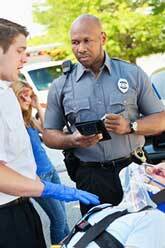 Daily Transcription can provide accurate mediation transcription for your legal proceedings. Because mediations use a neutral third party who acts only as a facilitator, you want to keep an accurate record of the mediation. This can be provided as a verbatim transcript or one with participants filler words such as “um” and “uh” removed. Following an incident, if a regulator believes an offense has been committed a request for an interview under caution pursuant to the provisions of the Police and Criminal Evidence Act of 1984, often referred to as a PACE interview, may be created. Our legal transcription services are secure, confidential, and reliable, and provide transcription in areas of both criminal and civil legal proceedings. At a time when cost savings in the public sector have never been more important, our transcription services can save you time and money without sacrificing quality or confidentiality. In-house transcription can be costly but by outsourcing the work to us, you can save money and time. Like any other legal transcription, accuracy is crucial when transcribing witness, suspect, or victim interviews. To ensure our quality, all documents go through a quality assurance check before being securely delivered to you. We have an experienced team of professionals and over 12 years in the industry. Save time and money by quickly and securely uploading your files to us using our online Upload Media feature. You can send us video, audio, or handwritten notes and know that they’ll be transcribed efficiently and accurately then delivered back to you without you ever having to leave your desk. You’ll be able to use the transcripts to quickly search for keywords or terms when needed. We understand there’s no room for error in legal transcription. 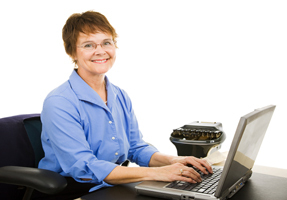 Depending upon your needs we offer two levels of verbatim transcription. Verbatim transcription refers to the use of ums, uhs, and swearing/expletives in your recording. We know that you may want us to edit the transcript to remove these sounds or words while in some instances it may be important to leave them in. Whatever your request, we can handle it with professionalism and accuracy. – We will leave out all of the pauses and background sounds from the transcription of your recording. This includes sounds such as “…uh…” or “…umm…” We will even, upon request, leave out cursing, swearing and expletives. We can also ignore background conversations or noises that you did not intend to be recorded. – We will transcribe all sounds, inflections, and swearing/expletives. This may be important for legal purposes. We will transcribe all background noises and incidental background conversations as well. Legal pleadings are formal written declarations used to begin a proceeding or litigation. Because these are formal documents filed with the court, you want to make sure you can trust the company handling them. Daily Transcription takes great care in what we do. Confidentiality and accuracy are our top priorities. We are especially proud of our diverse team of transcribers who are well versed in legal jargon, capable of accurately drafting your legal pleadings for you. Wire taps were once only useful on landline phones but this has now extended to Internet tapping as well. Use Daily Transcription for legal transcription of your wire taps and you can be confident that your information will be secure and confidential. We take our job, our clients, and our nondisclosure agreement very seriously. Our team is well versed in legal terminology and your project will be handled with the utmost care. We are confident that we can work with your format, turnaround, and budgetary requirements. Let your staff concentrate on what they do best, winning the case while we handle the entire trial transcription process from beginning to end. We have legal transcription experience that includes processing of cross-examinations and judgments. Our team works together to transcribe and review your entire project before it is delivered to you. Legal translation is a very specialized skill. Simply providing a verbatim transcription of what was said or written could completely change the meaning of a statement. We source native Spanish speakers to ensure delivery of a quality transcription that stays true to the original meaning. 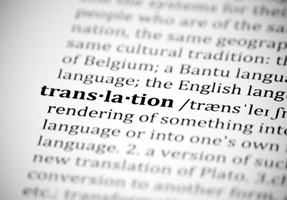 Experienced translators know that a mistranslated word or misinterpreted statement can lead to the loss of a case. Daily Transcription takes pride in knowing that we transcribe all legal documents accurately, with a thorough understanding of court terminology and legalese. Our legal transcribers are carefully chosen in order to use linguists who are native speakers in their profession and have been translating documents for years. Depending on your requirements, we will utilize the perfect linguist to fit your needs. What is included in our English to Spanish Translation Services? Use of one or several natives, educated, and experienced translators. Project verification by our Content Managers and Proofreaders. All administrative and management costs. Daily Transcription is able to do all this while still maintaining competitive prices. We are also able to offer the best turnaround times without sacrificing quality. No matter what the length of your audio, you can upload it directly to our file server. And because we are sensitive to the legal and confidential nature of your files, we have a secure file transfer server. This ensures that your files are treated with complete confidentiality and security. We will do everything we can to make sure you get the service you want. Your business is very important to us and we want you to know that our company has your best interest at heart. Many choices go into translation. Translating word for word can often lose the true meaning of what is being said. For this purpose, it takes a qualified professional to look at and listen to the actual context and content. Because there may be people who speak varied languages involved in the same trial or agreement, often it proves necessary to translate material from Spanish to English. Spanish is the second most common language in the US and legal translation is often not a choice but a necessity. We’re a company that understands the increasing requirements for Spanish to English translation. We have the resources that know and understand the language and the culture. What is included in our Spanish to English Translation Services? Use of one or several natives, educated and experienced translators. Our extensive source of qualified Spanish and English speaking translators have allowed Daily Transcription to provide accurate Spanish to English translations at very competitive rates. Each document is checked for accuracy by our trained quality control department and guaranteed 99% accurate. We may be meticulous, but the quality shows in our Spanish translation work. No matter the length of your audio, video, or text, you can upload it directly to our secure file server. This security ensures that your files are treated with complete confidentiality. Daily Transcription provides accurate and high-quality language services in over thirty languages. Our linguists have extensive experience in their field and are profoundly involved in the art, craft, and science of language. From depositions to entire trials, our quick turnaround times and expert service ensures that your project is handled with care and professionalism. We’re a company that understands the legal need for transcription and translation of multiple languages, which is why we have the resources that know the selected language and understand the culture. Seasoned translators understand that a mistranslated statement can lead to the loss of your case. Daily Transcription takes pride in knowing that we transcribe all legal documents and interviews accurately, with a thorough understanding of court terminology and legalese. Our transcribers are carefully chosen native speakers who have years of experience. Depending on your needs, we will connect you to the perfect linguist who will accommodate your situation. No matter the length of your audio, you can upload it directly to our file server. We have a secure file transfer server, which ensures that your files are treated with complete confidentiality and security. We can transcribe and translate from audio, video, or text. We will do everything we can to make sure you get the service you want. You are very important to us and you may rest assured that our company has your best interest at heart. Have further queries? Just get in touch with us to ask any of your questions.